The Vice-Chancellor of the Federal University of Technology, Owerri (FUTO), Prof. Francis C. Eze invites all freshers to the 37th Orientation Programme of the institution. 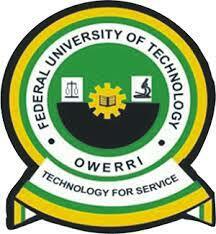 FUTO Freshers Orientation Programme Schedule. The Orientation of the fresh students will take place from: Monday 8th April to Wednesday 10th April, 2019. VENUE 1: SOHT NEW AUDITORIUM (SAAT, SMAT, SOHT & SBMS Students). VENUE 2: SOES AUDITORIUM (SOBS, SOPS & SOES Students). VENUE 3: SOPS AUDITORIUM (SEET & SCIT Students). Attendance is compulsory for all fresh students.